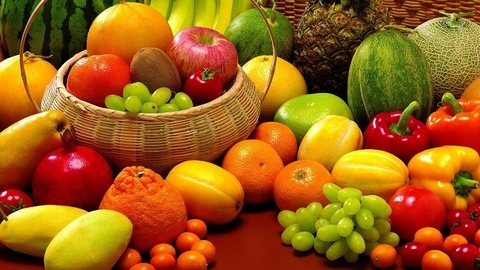 The Rosselkhoznadzor invited the companies to give advance notice about the import of Turkish vegetables and fruits. Measure even before the arrival of the goods to assess the existing phytosanitary risks and reduce the time of technical design documents, the Ministry reported. The Rosselkhoznadzor of Russian importers to use pre-notification for export of Turkish vegetables and fruit. This is stated in the message Department. "Rosselkhoznadzor offers Russian importers receiving the fruit and vegetable shipments from Turkey to register in FGIS "Argus-Phyto" to proactively provide information about incoming parties of the Turkish fruit and vegetable products. This will allow for the inspection of the composition of the Rosselkhoznadzor until the arrival of the goods to assess the existing phytosanitary risks and reduce the time of technical clearance phytosanitary documents", - stated in the message. It is noted that in 2016 importers of fruits and vegetables from Belarus, Moldova and Serbia have already draw up the loads through the module and their experience successful. It is noted that in a short time the Rosselkhoznadzor is planning to expand functionality of the operator and to provide possibility of registration of cargoes arriving in the ports of the Krasnodar territory from other countries. From 1 January 2016 on the background of aggravation of political relations, Russia imposed a ban on the import of a whole list of agricultural products from Turkey. The list includes oranges, tangerines, grapes, apples, pears, apricots, peaches and nectarines, plums, strawberries. In addition, under the restrictions were vegetables: tomatoes, cucumbers, cauliflower and broccoli, onions. Gradually, Turkish vegetables and fruits were displayed by the Rosselkhoznadzor under the ban, as from 1 may 2018, Russia has authorized the supply of tomatoes all Turkish producers, not just those that were in the list of approved exporters. While the current quota for the supply of Turkish tomatoes to Russia in the amount of 50 thousand tons per year is not canceled until it is developed. In addition, to avoid contradictions of the Russian and Turkish specialists from may 10 launched a joint Russo - Turkish control of tomatoes imported from Turkey to Russia through the main for this production is the port of Noumea. Before that date the supply of Turkish tomatoes in the port of Noumea will be controlled only by Russian specialists.